Carlos Slim Helu is now synonymous with wealth in Mexico because of the vast riches his name commands. And although the business titan is no longer the world richest billionaire after holding the position from 2010 to 2013, he never misses out on the world’s list for his numerous holdings in some of the most valued companies in Mexico. 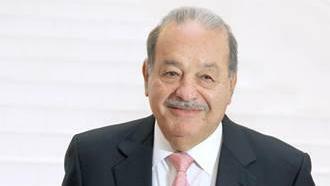 With his innovative business strategies extending to different sectors such as healthcare, real estate, transportation, energy, entertainment, media, sports, retail, and numerous others, which continue to maintain strong income and growth, there won’t be any fatal financial misstep for the Mexican billionaire in near future. That said, let’s explore how he was able to make himself a billionaire for life. Born on January 28, 1940, Carlos grew up in Mexico which is the place of his birth. He grew up in a Christian home as he was born to Lebanese parents Julián Slim Haddad and Linda Helu Atta who practiced Maronite Catholicism. He has five siblings including Nour, Alma, Linda, Jose, and Carlos. He is Middle-Eastern and has Lebanese ancestry. 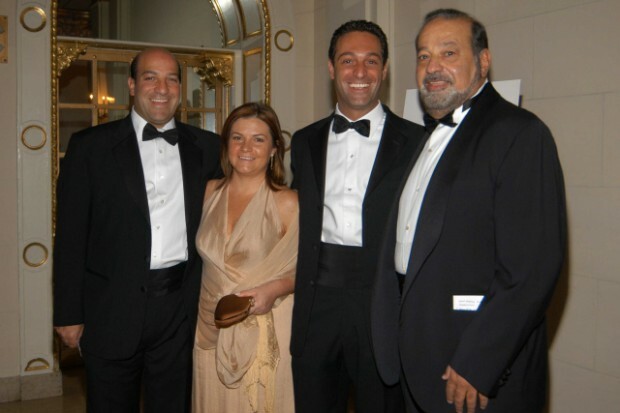 Carlos Slim comes from business-oriented household and the law of expansion seems to be a cue he took from his dad. His father who moved with his family to Mexico started a dry goods store with the little fund available to him then. Ten years after its establishment, his wares were able to worth about $100,000. With the dramatic growth, the business made a stretch to investing in real estate. And by 1922, Julian Slim Haddad who originally bore the name Khali Salim Haddad Aglamaz piled up huge net worth estimated at $1,012,258. And fortunately, the business tycoon didn’t stop diversifying and thus, never stopped growing. On account of this growth, Julian Slim gained recognization as one of the richest men in Mexico, revered mostly for his smart business dealings. Sadly, Julian Slim died in 1953 when Carlos was only 13 years but the many legacies he left behind have been carried on by Carlos Slim and have been made a priority even in his old age, so it isn’t surprising that he was able to build his own empire. Also, experiences he got from his maternal parents who also immigrated to Mexico just like his dad and owned a magazine that was among the first Arabic-language magazines for both Mexico and Lebanese community helped in providing more knowledge in the business world. Slim developed a huge passion for business as a child and knew it was his calling. But he didn’t want to be an illiterate businessman. As a result, he decided to acquire knowledge in this field and thus, started taking finance, management and accounting classes from his father, Julián. Before he became a teenager, Carlos made a profitable money move, investing in a government saving bond. The venture gave him an idea of the concept of compound interest. At that point, he became keen on keeping records and got personal ledger book of every transaction he was involved. The billionaire still has some of these records to date. At age 12, he took another great step which was buying his first stock in a Mexican bank. Three years on, he became a shareholder in the largest bank in Mexico. After doing small jobs, he enrolled in the National Autonomous University of Mexico. Arriving at the school, Carlos Slim majored in mathematics and also took courses in economics. He excelled in both courses which have a linear programming background and this helped him become an expert in reading business statements. In 1961, when he was done with all the class works and calculations, the billionaire started out as a stock trader in Mexico. Since he was his own boss, and much efforts were required to be successful in the business, Carlos worked 14-hour daily. Four years into the business, cash began to flood in the private business which surged to $400,000. This served as a ready cash for the billionaire to expand to other business. Some of his establishments he started then include Jarritos del Sur. and Inmobiliaria Carso. He also started the initial preparations for the launch of Grupo Carso. He has since expanded to numerous businesses which have survived through the 1980’s and 1990’s and is still steadily growing and drawing strong earnings in the 2000s. As CEO of Telmex, América Móvil, and Grupo Carso which have substantial holdings in many businesses and high-earning companies, Carlos Slim Helu is the world’s seventh richest person and richest in Mexico with a net worth of worth $61.3 billion. As he continues to hit the right financial targets, the Civil Engineer will keep getting richer and this is not going to change soon. Carlos Slim got hitched to the love of his life Soumaya Domit in 1967. But he lost her to the wicked clutches of death in 1999. Soumaya was active in charitable ventures just like her husband. Their marriage produced six children and Slim has made clear that all he has built and achieved belong to his children. Three of his older sons hold top positions in some of his companies. Since her death, Carlos has stayed single and doesn’t look ready to enter into any commitment with any woman. 1. Carlos Slim Helu is 1.73 m tall and weighs 90 kg or 198.5 lbs. The billionaires birth sign is Aquarius. 2. Life challenges are part of living and only the dead that doesn’t fear this fact. Carlos Slim is a living testament to this. The businessman has gone through a heart surgery and fortunately, he came out strong. He has since been hale and hearty. 3. Carlos loves reading events of the past and this passion grew when he was in school. Some of his best subjects those days include History, Cosmography, and Mathematics. 4. Who would have imagined that a billionaire of this modern age would prefer old bookkeeping methods in contrast to the use of computer technology? Well, now we have found that exception who is Carlos Slim. Despite being very conversant in technology, he prefers to keep records manually using books, pen, and other writing materials. 5. It is said that when you work on God’s vineyard, he will surely flourish your own vineyard, as seen in Carlos Slim Helu’s business. The billionaire has held onto his faith since he was a child and now he is one of the biggest sponsors of Legion of Christ, a Roman Catholic religious institute. 6. Carlos Slim, alone accounts for 40 percent of his entire country’s Stock Exchange and his net worth is 6 percent of Mexico’s gross domestic product. 7. He has been in the middle of controversy for wealth just as much as he has received honors and awards (including being named among reputable lists of richest of people). The subject that always stirs the controversies is how he was able to achieve such amount of wealth in a country where a huge percentage of the people live in poverty and the average per capita income is not more than $14,500. 8. Above all, Slim loves charity works and devotes huge amounts of money to humanitarian works.